No one–no one–should face discrimination because of who they are or whom they love. So, we are working to lead internationally, as we have domestically, on LGBT issues. 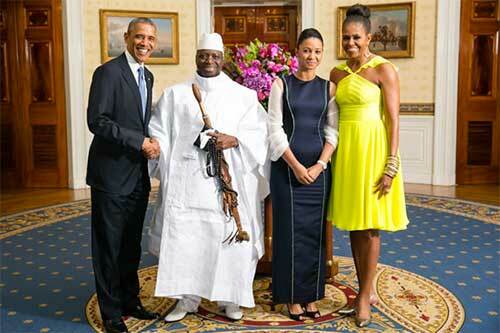 This summer, President Obama championed equal treatment for LGBT persons while standing next to the President of Senegal, a country that is making progress on democratic reforms, but like too many nations, still places criminal restrictions on homosexuality. 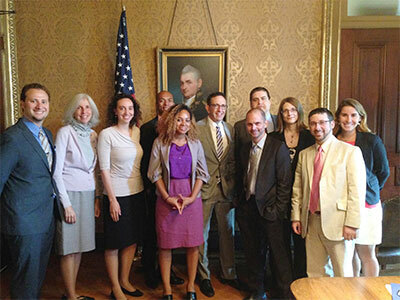 President Obama met with LGBT and other civil society activists in St. Petersburg, Russia to discuss the restrictions they face in Russia. At the UN Human Rights Council and in regional organizations, such as the Organization of American States and the Pan American Health Organization, the United States has fought for and won support for resolutions that recognize the rights and protect the safety and dignity of LGBT persons. We created the Global Equality Fund to protect LGBT rights and those who defend them. Today’s speech was a welcome affirmation of the Obama Administration’s commitment to protecting human rights at home and abroad. Ambassador Rice made a compelling case for why this effort is squarely in the national interest, arguing that short term trade-offs cannot alter our foundational values, and that respect for human rights is essential to our security. Following her speech, Ambassador Rice met with human rights defenders from Bahrain, Egypt, Zimbabwe, and the international LGBT community. Anne Richard, Assistant Secretary, Bureau of Population, Refugees, and Migration addresses crowd at event marking IDAHO. Council Chair Mark Bromley moderated a panel at an event hosted by The Council for Global Equality, The Human Rights Campaign, and Human Rights First marking International Day Against Homophobia and Transphobia (IDAHO). The event also marked the release of The Road to Safety: Strengthening Protection of LGBTI Refugees in Uganda and Kenya by Human Rights First. Remarks were made by the Honorable Anne Richard, Assistant Secretary of State for Population, Refugees, and Migration; as well as Eleanor Acer, Director of the Refugee Protection Program at Human Rights First. 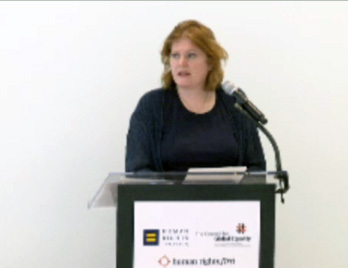 HRC Legislative Director, Allison Herwitt opened the event. There was also an interactive panel discussion with Duncan Breen – Senior Associate for HRF’s Refugee Protection Program – and Larry Yungk – Senior Resettlement Officer of the UN Refugee Agency. Click here to watch the full event. Read Secretary Anne Richards remarks here. International Day Against Homophobia and Transphobia. IDAHO is celebrated worldwide to commemorate the date, May 17, 1990, when homosexuality was removed from the International Classification of Diseases of the World Health Organization. The Council for Global Equality is commemorating this day with the release of our NGO guide – Accessing U.S. Embassies: A Guide for LGBT Human Rights Defenders.